This anime season includes a pair of titles that feature some rather… unique characters. Both Monster Musume and Actually, I Am include a handful of normal humans, but the majority of their casts are made up of aliens, vampires, centaurs, and other fantastic creatures. When a pair of shows use monster girls as a primary selling point, there’s only one sane thing to do: pit ‘em against one another and see which comes out on top. Despite its odd title, Actually, I Am is the more conventional of the two shows. It stars a vampire who’s trying to attend high school while concealing her identity and a human guy who can’t keep a secret to save his life. The cast gradually expands to include an alien, a werewolf, a devil, and a variety of other oddities, most of whom need the hero to somehow keep their secrets. The show has some rudimentary romantic elements, but it’s primarily a comedy. Thanks to some creative twists on old character archetypes, it can be quite funny when it puts its best foot forward. Monster Musume takes a more unusual approach by adding elements of horror to an ordinary (if raunchy) harem comedy. 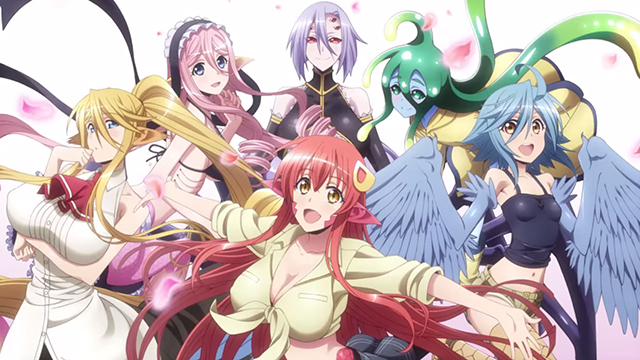 The show’s female cast includes a lamia (half snake), a harpy (half bird), a centaur, a slime creature, a mermaid, and a spider woman, all of whom have at least some interest in dragging the hapless human male protagonist into bed. Monster Musume takes advantage of its solid animation quality to bring out the distinctly non-human features of its characters, adding a distinctly unsettling accent that clashes hilariously with its rom-com antics. Normally suggestive situations become struggles for survival as the main character is in constant danger of being crushed, trampled, smothered, dismembered, or otherwise killed by his amorous roommates. Neither series is perfect, and Actually, I Am is held back by a consistent lack of confidence in its own narrative. Characters break up the flow of important scenes with constant, unnecessary internal monologues that explain the bleeding obvious. The show also has a tendency to be indecisive about its plot, wandering in circles instead of moving the story forward. Much of this title’s potential is squandered on episodic content that lacks the novelty and impact of its characters. Monster Musume suffers from a more structural problem: it has absolutely no interest in compromising with its audience. The show is unapologetic when it comes to sexual content and uncomfortable situations. If you’re not willing to play by its rules, then there’s nothing for you here. 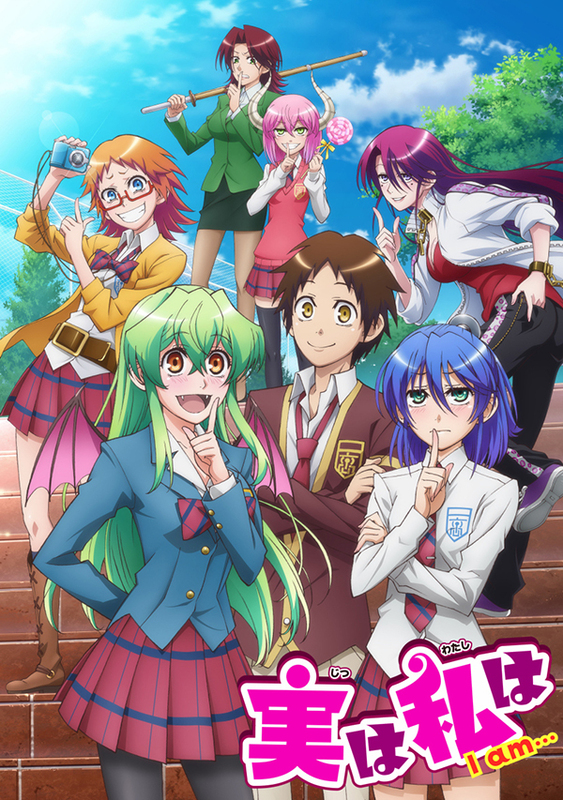 This is the very definition of “love it or hate it” anime, and it’s a very guilty pleasure for anyone who happens to enjoy it.